Shopping for car rental services overseas can be a bit of a daunting task. There are often dozens of different companies that offer the exact same rates. But in the small print you’ll find huge variations in the costs of rentals and if you don’t book smart, you can end up paying hundreds of dollars more on your next vacation. Rental companies hate when you waste their gas! In fact, they hate it so much that they’ll charge you ridiculous rates for returning the car with less gas than you took it out with. Apparently the petrol that the rental companies use to fill up their cars comes with gold flakes in it because they will almost always charge 2 or 3 times the price / litre. Ask the rental agency to fill up the tank before you take off, and make sure you return it with the same amount (or more). These companies really do seem shady when you start to see your bill magically growing at the end of your vacation. The best way to avoid this is to be well aware of what each company will charge for certain things. When you’re pricing out your rental, make sure you know exactly what is included. Often the taxes and fees on the rental price don’t show up until the final screen when you’ve got your credit card out and you’re ready to purchase. Make sure you read all of the fine print and know exactly what you’ll be charged. It’s bad enough getting pulled over by the police and having to pay a hefty fine (or a bribe depending on where you’re driving), but it becomes even worse when you return the car and see that the rental agency has added an “administration fee” of $50 or more for your little run-in with the law! Speeding is dangerous and costly in your own car, but in a rental car it can break the bank! If you were really excited to have found a rental for $15 / day, and then you get three speeding tickets… suddenly your car isn’t so cheap after all. As we said earlier, rental companies love it when you make things easy for them. They don’t want customers to rent the car for just one day, forcing them to clean it and fill it over and over again. Rent for longer and they’ll reward you with huge savings. On a test booking we conducted, a 3 day rental in Vancouver was $236 ($79 / day), but if you add 4 more days that price goes down to just $361 (around $51 / day). If you get up into the one month rental space you’ll save a ton of cash. We rented a car for 5 weeks in South Africa with full insurance and a different pick-up / drop-off location for just $20 / day. Book long-term and save cash. Before you start to shake and explain how you’re not much of a risk taker, hear this through. If you’re renting a car inside of Canada, your regular vehicle insurance may cover your rental car. Call your insurance provider to check. But if not, you can always book with your Scotiabank Gold American Express Card which includes rental insurance. Car rental companies charge exorbitant rates of insurance and most of us don’t even need it! When we found that amazing $20 / day deal in South Africa, we booked online through CarHire3000.com. There are tons of excellent resources for renting cars online and they can save you huge money. If you’re not too picky about what rental company is supplying you with a car, you can use sites like Priceline.com and Hotwire.com. These sites offer excellent discounts on car rentals to consumers who are willing to be locked into a preset price before finding out which national car rental chain will be providing the car. Companies such as Avis, Alamo, Budget and Hertz provide vehicles to Priceline.com and Hotwire.com customers. It may be convenient for you to pick up your car right when you walk off of your aeroplane, but did you know that you’re often paying a hefty premium just so that you don’t have to take as many steps to get behind the wheel? In our test bookings, we found “airport fees” attached to almost all rental providers. These fees ranged from $9 – $12 which may not sound like a lot, but if you’re only booking for a day or two that can be a large percentage of your overall rate. Consider walking down the road a couple of blocks instead of picking up your car directly from the airport. This is possibly the biggest money-saving tip on this list, why? Because airlines and booking engines often give you access to premium rates just for adding a car rental to your booking. We ran a test booking a return flight from Vancouver to London in February of 2015 and the cheapest fare we could find for the flight was $1,250 on Expedia.com. Then we clicked the “flight+car rental” tab, ran the same dates and WHALAH! The same flight was available for $1,150 and we also landed a car for the duration of our stay (1 week). That’s a total savings of over $400! A similar tactic can be used with British Airways, Kayak and Fare Compare. 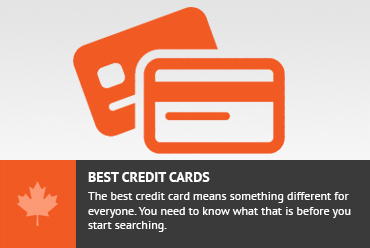 Seeing as you found this article on Credit Walk, we know you’re hunting for the best ways to rack up points with your credit cards and reward programs. Some Frequent Flyer programs will offer huge bonuses if you rent a car. In Canada, use your BMO World Elite Credit Card for extra points on purchases from National Car Rental or your Scotiabank Momentum Infinite Card for discounted rates from Avis. This is a life hack that everyone should use when purchasing pretty much anything online. It works for Expedia, Amazon, Netflix and pretty much any other company that sells something on the web. While you’re shopping for your next rental car, keep your eye out for a little box that says “promo code” or “discount code”. After you’ve found the deal that best suits you, run a Google Search that looks like this: “your-rental-company” + “promo code”. Dozens of sites will pop up with codes that you can put into that magic little box to save big money. We’ve used this trick when making all of our purchases online and it works the same for rental cars. Give it a try and never pay full web-listed price for anything again! Now hit the road with confidence! Now that you’ve done your homework and educated yourself on how to find cars for cheap, you should never have to break the bank renting a vehicle again. Just remembering to deny the insurance, fill the tank and book the rental with your flight will save you huge money. If you’ve rented a lot of cars in the past and didn’t know any of these 10 tips, you’ll be wishing that you read this earlier! Don’t worry, from now on you can get behind the borrowed wheel with confidence, knowing that you found the best possible deal and racked up the most possible points with your rental. Don't subscribe All Replies to my comments Notify me of followup comments via e-mail. You can also <a href='https://www.creditwalk.ca/comment-subscriptions/?srp=3888&srk=2648578ecea05c83754707575dc5a494&sra=s&srsrc=f'>subscribe</a> without commenting.